It started at the organization considered by many to be the most successful in US history. Workplace culture has always been their number one priority. 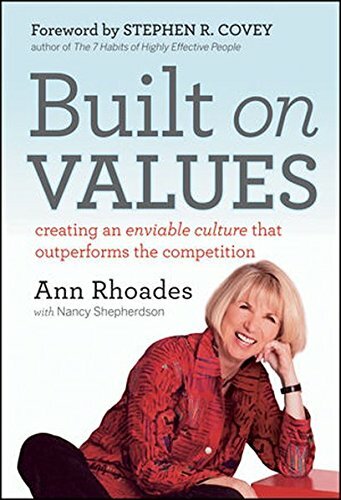 Ann has been interviewed, referenced, and quoted in 33 published books on the subject of creating values and people-centric workplace cultures. Are you familiar with the people/values-centric organizational model? The younger generation is. They are looking for "great/best places to work" high in inclusivity, trust, pride, and camaraderie. The innovative, accountable, and continually improving organizations have tremendous competitive advantage because they have tapped into levels of energy and commitment to which their competitors usually have difficulty matching.